Everybody needs space to live. Gamers like you need space to play. 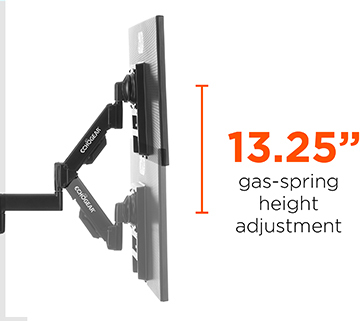 Get what you need from your gaming setup with this Single Monitor Dynamic Height-Adjust Wall Mount, perfect for getting monitors 10" - 30” up off your desk and onto the wall, maximizing your playing space. Free up desk space & position your monitor exactly where you want it by mounting your monitor to the wall. Butter smooth monitor arm is built with a premium gas spring capable of extending 19.4" and raising 13.5" without tools. 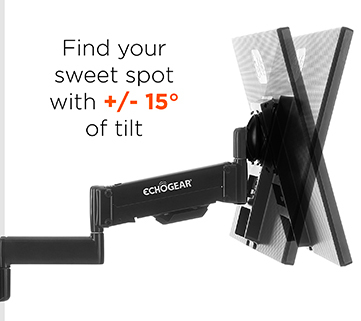 Adjust the tilt, swivel, or orientation of your monitor in seconds with just your hands. 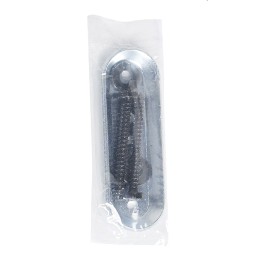 Customize the tension to hold your monitor without droop or wobble. 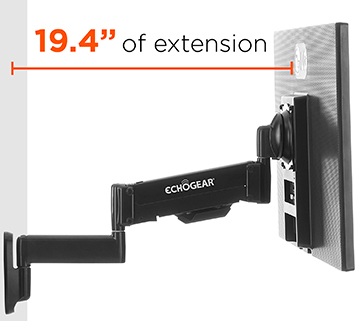 Integrated cable management channels keep your cables out of the way without restricting the monitor movement. 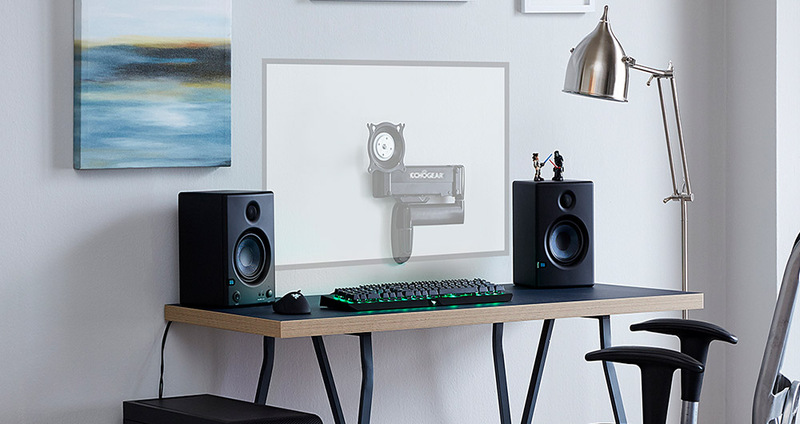 This seriously solid, on-wall mount design is bump-proof and tested to hold your monitor steady… even if things get a little crazy. 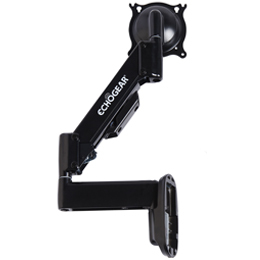 Built from easy to install high-quality materials, this mount works with any monitor 10"-30" and up to 25lbs. Quick, easy 3-step monitor mount installation: Attach wall plate to wall, slide mount onto plate, attach display to mount. Well, the days of forgetting to mount your monitor are over. 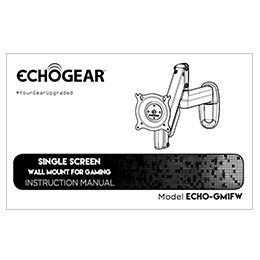 With the Echogear Wall Mounted Gas Spring Mount, you'll have an uber-flexible monitor to game more comfortably, more desk space for your stuff, and additional customization options for your gaming setup. You probably don't think about it, but if your monitor isn't in the ideal position it can put stress on your body & cause gaming (or work) fatigue. 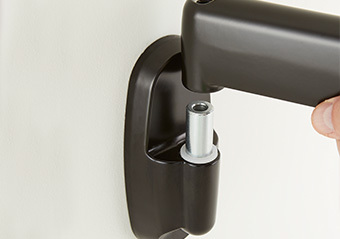 By mounting a monitor to the wall, you'll get almost unlimited adjustments thanks to the dynamic gas spring arm. Raise or lower the screen, extend it from the wall, tilt to eliminate glare, and swivel left or right until you've found the most comfortable gaming position. Experts and smart people did a bunch of studies that show a properly aligned monitor reduces stress and fatigue on your neck, back, and eyes. What that means for you is longer gaming sessions without wearing out. If you've got multiple players in your house, the monitor can be quickly adjusted using just your hands. No tools required. Get the perfect monitor position for everyone, but most importantly you. How are you going to get first in Fortnite with a poorly positioned monitor?? Quit hiding in that bush and slay some fools! Stock monitor stands take up a lot of room and give limited positioning flexibility. By mounting to the wall, your monitor will be off that crowded desk and you can finally get rid of that enormous stock stand. Fully retracted, it has a low 2.19" profile so you'll barely be able to see it. With all the extra desk space, you can add those extra peripherals you've always wanted but didn't have space for. Go crazy, put that TIE Fighter model you did 10 years ago up there, or even the picture of your ex. That was a joke. Get over her! If you have a rickety IKEA desk or get a little too animated during gameplay, you've probably experienced screen wobble. Nothing will kill your vibe and destroy immersion quite like a screen that won't stay steady. By wall mounting, you can pound your keyboard and aggressively click all you want. Unless you're the hulk, the wall mounted screen will stay perfectly steady and in the perfect position. Adding a monitor mount to your gaming setup opens up customization options worthy of /r/battlestations. 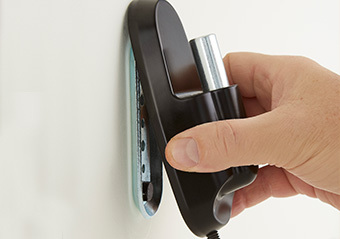 Route cables behind the mount and through the wall for a clean, professional finish. Like LEDs? Bias lighting looks cooler when the monitor is closer to the wall. If you've got multiple monitors, no worries. Just put another mount on your wall and you'll be playing like a pro in no time. Those new 4k monitors look pretty sick. Upgrading screens is easy. 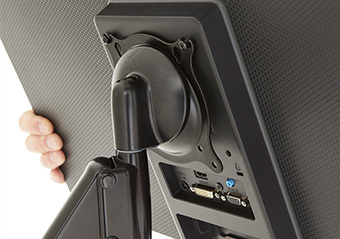 One your mount is on the wall, attach any new monitor for an easy upgrade in either landscape or portrait orientation. Want to know what else is easy? Installation. If you are worried about drilling into a wall, we get it. But there isn't anything to be afraid of. With our comprehensive manual (written in real English), included hardware, and experts ready to answer the phone 7 days a week, this is a DIY project anyone can handle. 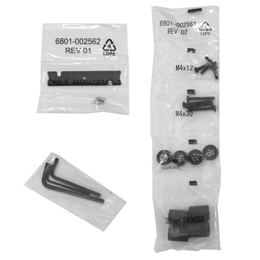 Your screen will be on the wall in under 15 minutes thanks to our easy 3 step install process. Your friends will be jealous and think you are the next Chip Gaines, but we won't tell them how easy it was if you don't. Click the button below to add the Single Monitor Wall Mount With Dynamic Gas Spring Adjustment to your wish list.